Last Tuesday night my friend Dolores and I attended the San Francisco Clothing Swap! We had a great time! (Blog post coming soon about the Clothing Swap). While makeup artist Nikol Elaine was doing Dolores’ makeup we all got to talking. 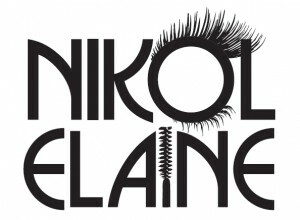 Nikol was such a wonderful person I asked her if she would be willing to do an interview for my blog. She said yes! -I love how lucky we are to be surrounded by mountains and ocean and I love that San Francisco is a mecca for travelers and culture from all over the world. Where is your favorite place to hike/bike in the Bay Area? Favorite place to take your dog? -I love taking my dog downtown Danville to Sideboard cafe as he loves sitting outside to people watch. -My favorite resturant changes often as I am a self proclaimed foodie, however this month is Esin in Danville. What is your favorite place to get coffee or tea? What is your favorite place to shop for clothing? 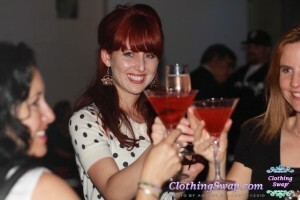 -I love shopping vintage in SF and for gently used clothing at local consignments or at SF’s own ClothingSwap.com! If you had an out of town guest coming to visit that had never been to the Bay Area where would you take them? -I would take them wine tasting in Napa valley followed by a nice dinner in SF. If you love clothing swaps and are in the Metro D.C. area, vist our site to sign up for one or all of our upcoming events!